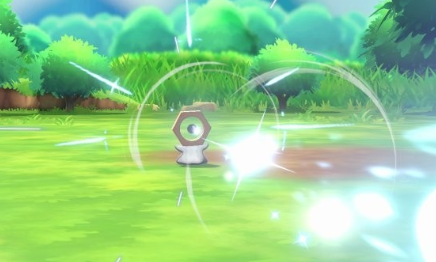 Meltan is newest Pokemon that has been added to the World of Pokemon, and it is exclusively found in Pokemon: Let's Go, Eevee. However, since Meltan is a Mythical Pokemon, a special type of Legendary Pokemon, it Can't Be Found in the wild and can only be obtained by activating or receiving a certain event. Believe it or not, activating the Meltan Event in Pokemon: Let's Go, Eevee is actually quite simple. In order to obtain Meltan, a player must first reach Fuchsia City. This is because you must first connect to Pokemon GO, the hit mobile game, and a player can only do so in Fuchsia City because that is where Pokemon Go Park is located. Once at Pokemon Go Park and connected with Pokemon GO, all a player must do is transfer a Pokemon from Pokemon GO to Pokemon: Let's Go, Eevee. By doing this, you will receive a Mystery Gift Box in Pokemon: Let's Go, Eevee that contains none other than Meltan! Wanna chat with fellow players about a number of topics? Check out our Pokemon Forums!